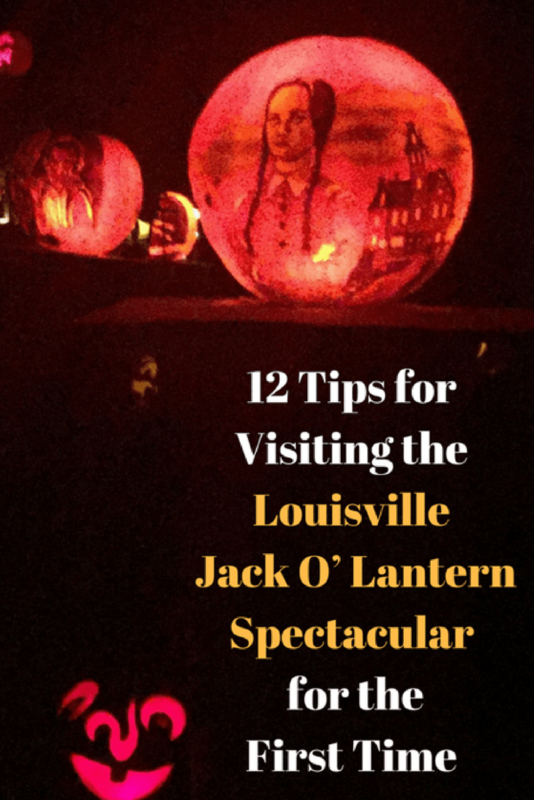 What is the Louisville Jack O’ Lantern Spectacular? 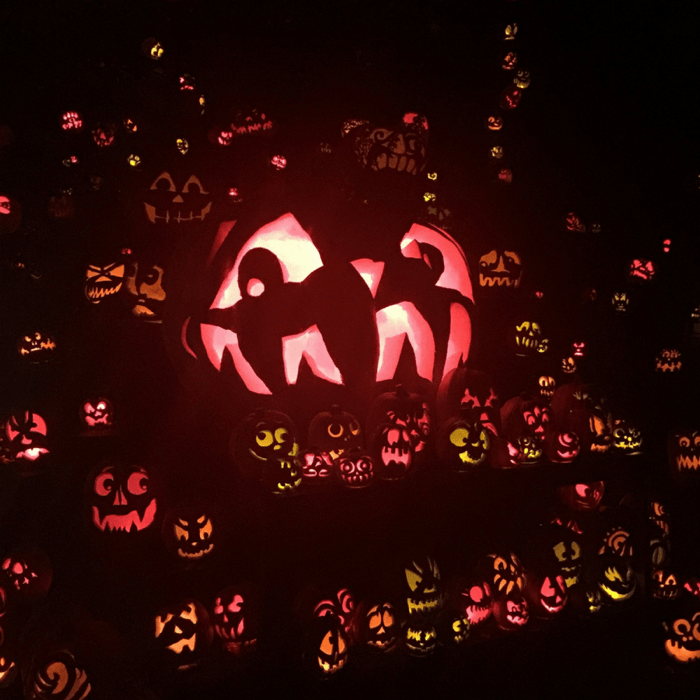 You can view 5,000 carved pumpkins lining a ¼-mile walking trail, illuminated at night at Iroquois Park daily from dusk to 11 p.m. during the week (Sunday-Thursday) and midnight on Friday & Saturday. 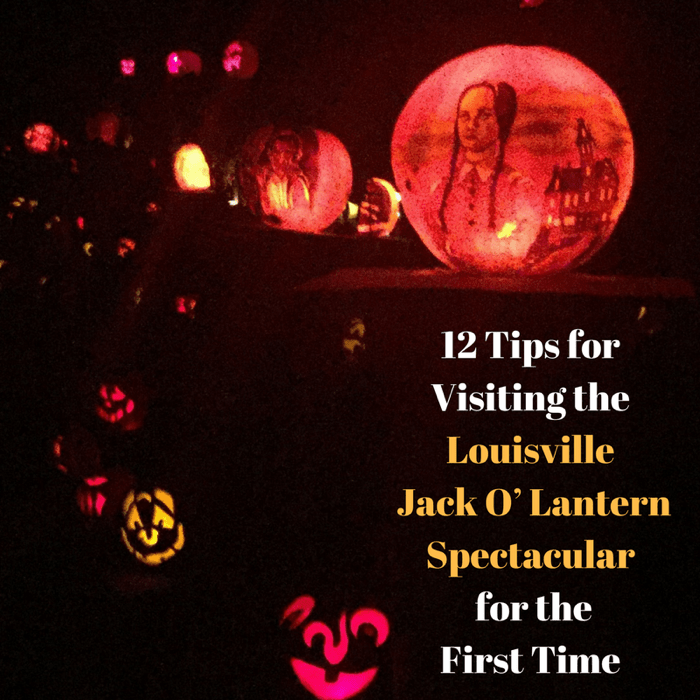 The illuminated pumpkins are presented in themed scenes with music in a family-friendly environment with proceeds benefitting the Louisville Parks Foundation. *The trail is a ¼ mile soft surface, woodland path with several steep slopes. Docents are stationed along the trail to answer questions and guide patrons along the trial. Wheelchair-bound patrons may have difficulty traversing the trail under rain-soaked conditions. Check the weather forecast before you arrive and make sure that you are prepared for colder temperatures. You can always remove layers but no one likes to be outside for a long time when they are cold. The event is held rain or shine. This event is really popular which means that you will most likely be spending some time in line. I recommend downloading the “Heads Up” charades app. It’s fun for groups and helps make the line time go by faster. You can burn your battery life quickly and you want to make sure that you have plenty of battery left when you reach the forest. You could find yourself waiting in line so you’ll want to make sure that everyone in your group is well fed beforehand. There are various concession vendors depending on the day and an ATM on site. Popular items are the hot chocolate and popcorn. 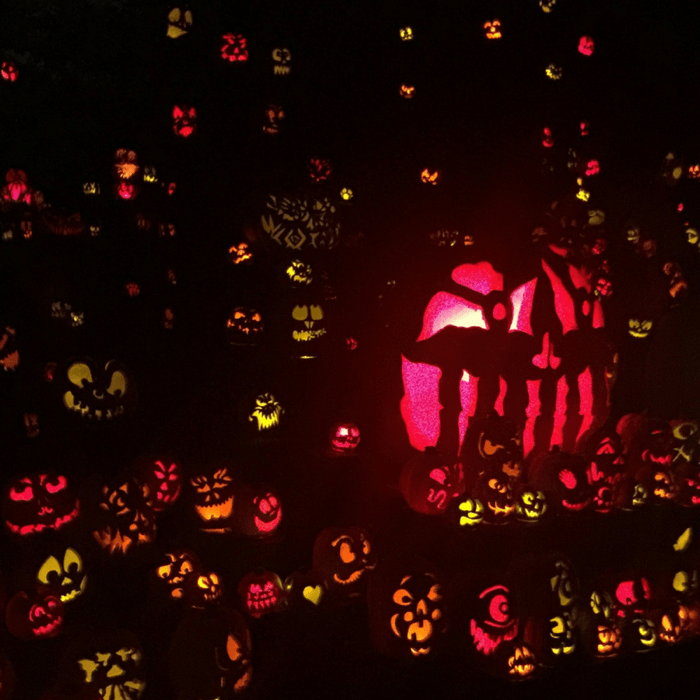 The trail is designed to walk one way but it can be easy to become separated from your group while you are looking at all of the amazing pumpkins in the dark. I suggest trying to partner up if you have smaller kids and talking about a plan in case you do get separated. Parking is free in the Iroquois Amphitheater parking lot and there is also overflow parking across the street. There is still one line but you will save time when the line eventually splits for people who still need to purchase tickets. 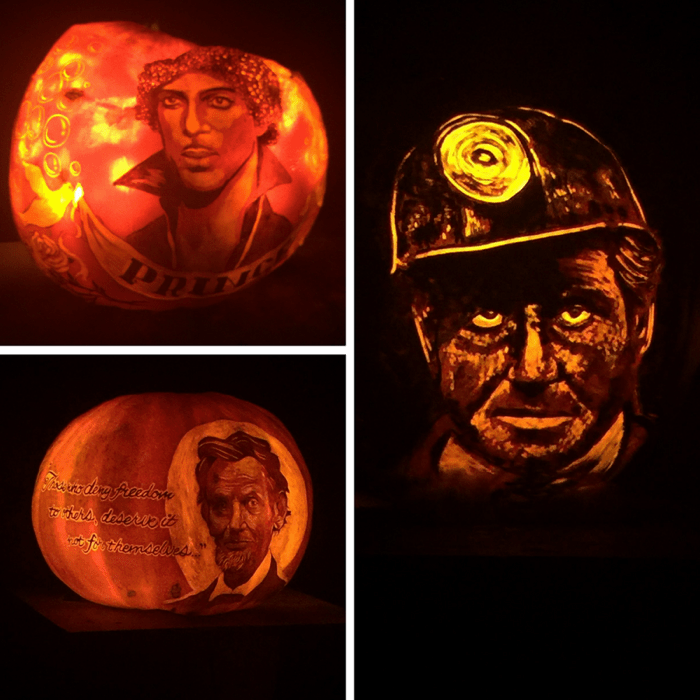 The artistic skills that you will see are absolutely incredible. In my opinion, YES! 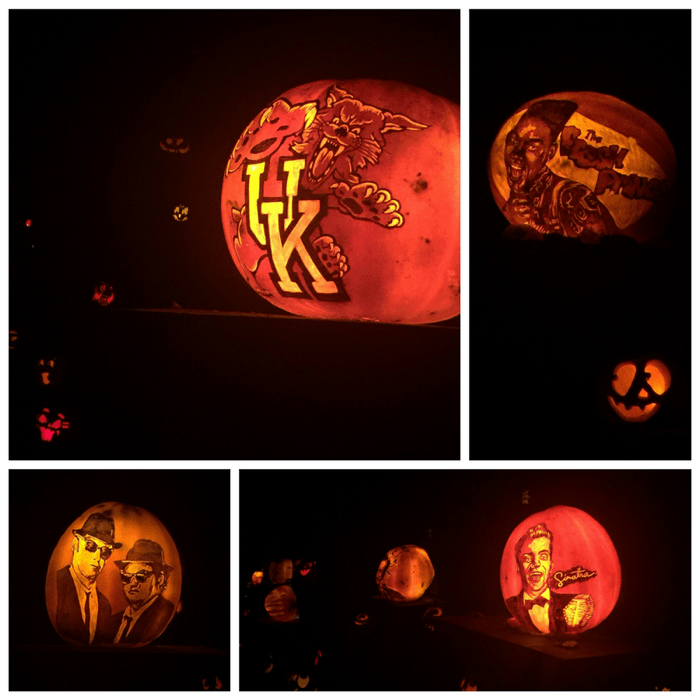 It’s not very often that you see that amount of quality AND quantity of creativity on display. 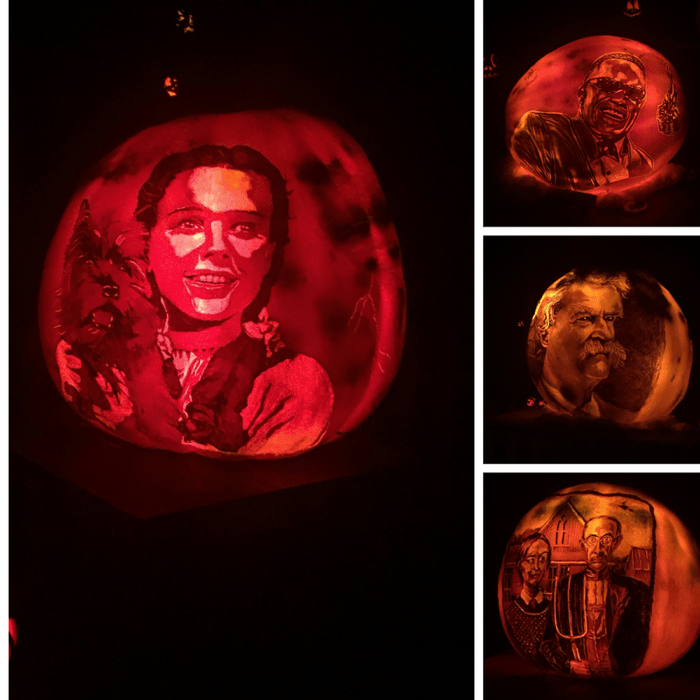 This is a great family-friendly event to experience around Halloween. Gates will open at dusk (around 7:15 pm) nightly. Closing hours are 11 p.m. Sunday – Thursday and Midnight on Friday and Saturdays. Individual Tickets can be purchased online, at www.iroquoisamphitheater.com, by phone at (877) 987-6487 or in person at Iroquois Amphitheater Box Office. Box office 9am-4pm M-F. Then reopens at 5pm. Box office opens at 4pm Saturday and Sunday. Gates will be open at 7:15 pm nightly. (you can start lining up around 6pm) Closing hours are 11 p.m. Sunday – Thursday and Midnight on Friday and Saturdays. You can find out more about the Louisville Jack O’ Lantern Spectacular from their website. Disclosure: We received complimentary admission for review purposes. All opinions are my own.